World nuclear news has been making the front pages of newspapers and headlining on-line information. For all the wrong reasons. In the process, once again people have been made nervous. First there was the Japanese earthquake and tsunami damaging power supplies to a couple of nuclear power stations - one in particular. Nuclear news and information just got worse and worse as the days went by. The pattern was so similar to the other major nuclear accidents in the USA and USSR of the more recent past. The original problem worsened as more incidents compounded the initial damage. With all the built-in fail-safes in nuclear facilities, major meltdowns and contamination sequelae only occur with a series of failures. This has been the pattern of all the recent major accidents. Cleanup management continues into 2014. Contaminated water for cooling and other purposes is held in large on-site silos. Younger and less-experienced staff are being employed in managing the plant clean up. The IAEA site continues to supply regular information on ongoing developments. 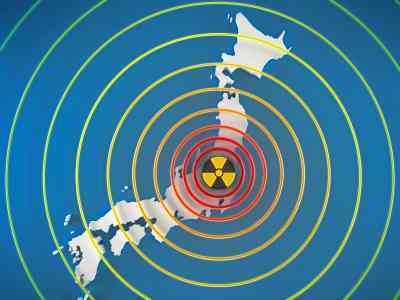 Nuclear news creates concern with the long-life radioactive contamination that results from accidental releases. As the Japanese reactors were of an older design, those seeking to build new power stations theoretically should have had reduced concerns. But adverse world nuclear news creates major public perception shifts. Multiple demonstrations occurred in Germany where around 70% of people were already unhappy with nuclear power generation. 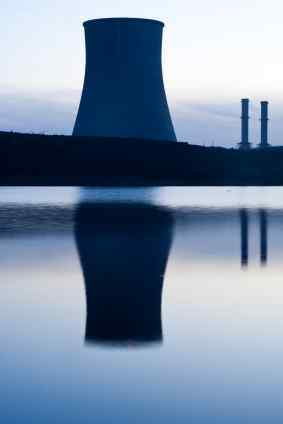 Enough public concern was generated for the German Coalition Government to compound its initial decision for the shutdown for immediate examination of its seven oldest reactors four days after the Japanese earthquake and early adverse news from the Fukushima generator. Flying in the face of legislation it passed a year before to extend the life of its nuclear power facilities to 2030 to allow time for renewable energy sources provide for the country's energy requirements, the government decided it would decommission all the nation's plants by 2022. Switzerland, relying for 40% of its power on the nuclear option, has elected to decommission its reactors as they age which would result in the last one closing by 2034. Italy has re-introduced a moratorium (initiated after Chernobyl) on further nuclear development. In Japan the government called for the closure of the older Hamaoka nuclear power plant. Lying 200km from Tokyo and on a major fault line overdue for movement, there are concerns for its safety in such an event. Over the last two years to has closed down supply from all its nuclear reactors. This only compounds Japan's energy supply problem, which is exacerbated by a divide in the country over the supply frequency of its AC current - at 60Hz in the undamaged southwest and 50Hz in the northeast. Shifting generated power to the affected northeast is not possible. One suggestion arising from the disaster and agricultural field contamination around Fukushima is to use the affected fields for solar power generation. This would yield a higher earning return than the crops from the area would have done. At the same time there has been wide concern with Iran nuclear news items (not to mention previous nervousness about North Korea). How much its initiative was simple nuclear power commissioning or developments for possible warheads seemed difficult to call. It does reflect nuclear technology is able to be developed more readily around the world. Then concerns arise about the particular uses to which such technology can be put. So not only is recent nuclear energy news of concern, but also the less ideal developments from it. Whatever place nuclear fission will play in the future for world energy production, having a handle on world nuclear news will help us to see where we are and will be heading. Have A Great Story Relating To World Nuclear News? Do you have thoughts or experiences about nuclear power and its effects? Or about how you feel we should consider it for an alternative energy source? Especially in view of recent events? Share it!